"Magnificent BRAND NEW CONSTRUCTION in the 24-hour guard gated community of Indian Falls Estates. 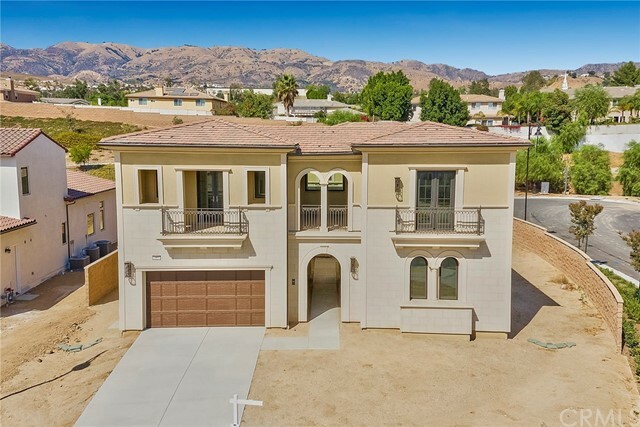 Nestled in the foothills of the Santa Susana Mountains. 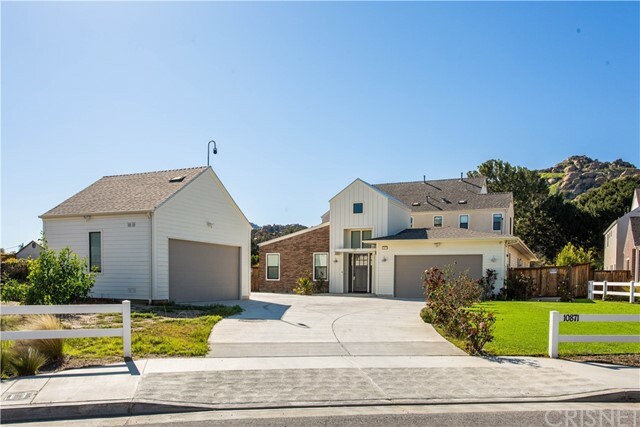 Privacy, security & surrounded by the rolling hills & rugged rocks of the natural landscape. 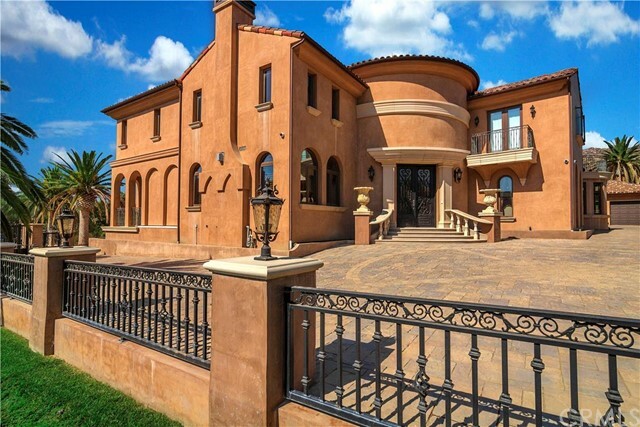 This almost 11,000 sq ft Mediterranean Estate has JUST BEEN COMPLETED. 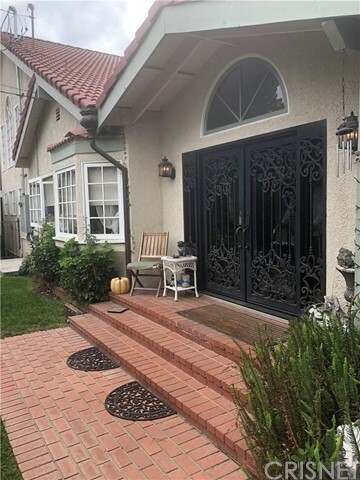 Circular driveway, massive custom wrought iron & glass doors. Soaring rotunda entry. Sweeping staircase w/artisan wrought iron. Main level has expansive great room, formal living room w/ custom wine closet & bar, formal dining room, billiard room & en-suite guest room. Enormous center island kitchen.Viking appliances, custom cabinetry w/ pull-outs & granite counters w/ onyx mosaic backsplash. 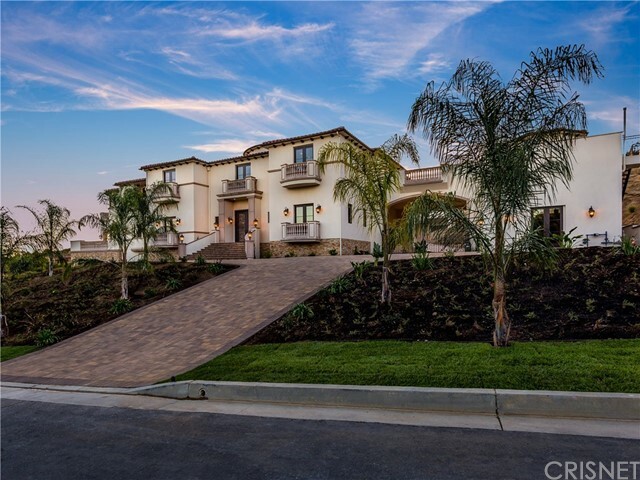 Main level is has 32x32 porcelain tile floors, coved, beamed & coffered ceiling & walls of French Doors allowing for true California indoor-outdoor living. 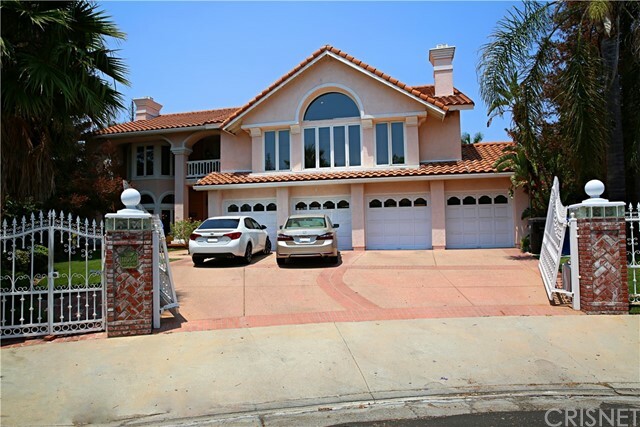 Upstairs, 6 enormous bedrooms which include the Master Suite w/walk-in closet w/custom built-ins, luxurious bath, double shower & rotunda w/ circular jetted tub. French Doors on the upper level access the terraces & balconies that invite you to linger & enjoy the views. 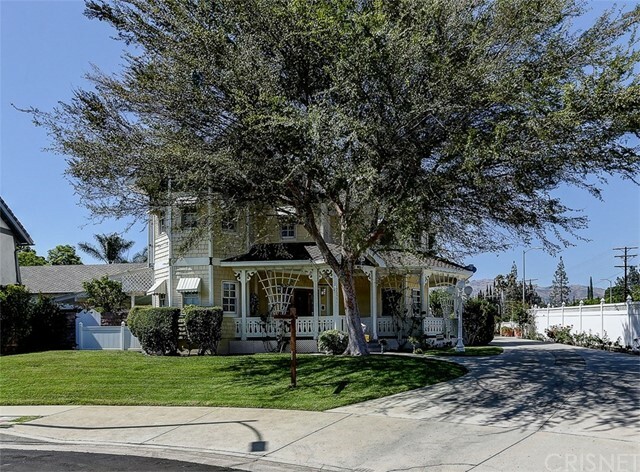 Sited on a 1 3/4 acre street to street lot. Stone terraces & patios surround the large pool, spa, BBQ pavilion & lighted Tennis Court. The car collector will delight in the garages, 2 2-car garage & a massive over-sized 14-car garage with a 14 center door w/front & rear access. 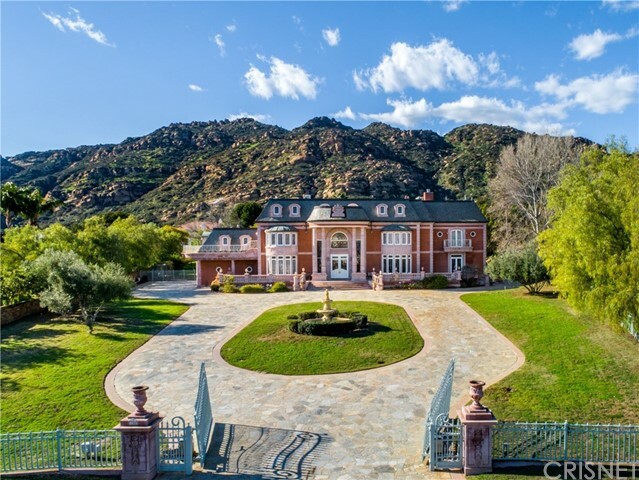 THE trophy estate of the North San Fernando Valley." 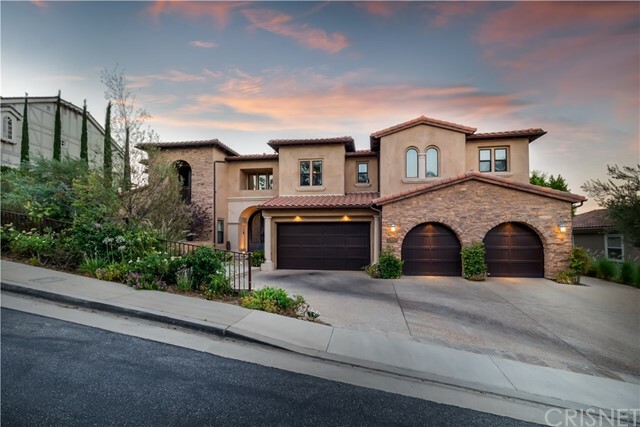 "Luxurious Custom estate perched on a sprawling mountainside w/Stunning Jet liner Valley views in desirable Summit Ridge. 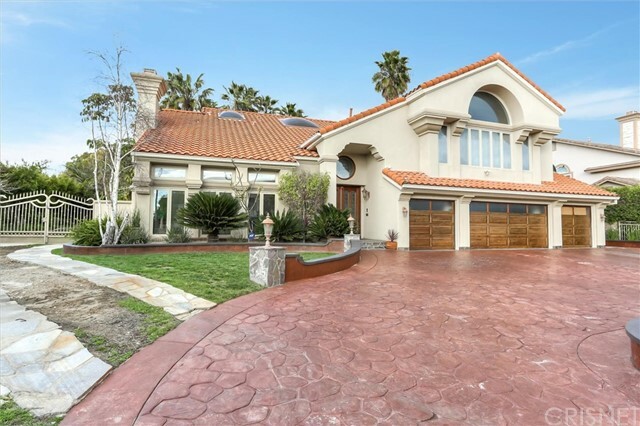 Impressive formal entry w/rounded iron doors is open to the 2nd story & dramatic double curved staircases. Amazing flr plan w/over 8000 sq ft in the main house + a separate self-contained 2+1 guest house w/approx. 1250 sqft. Incredible floorplan w/ no expense spared. 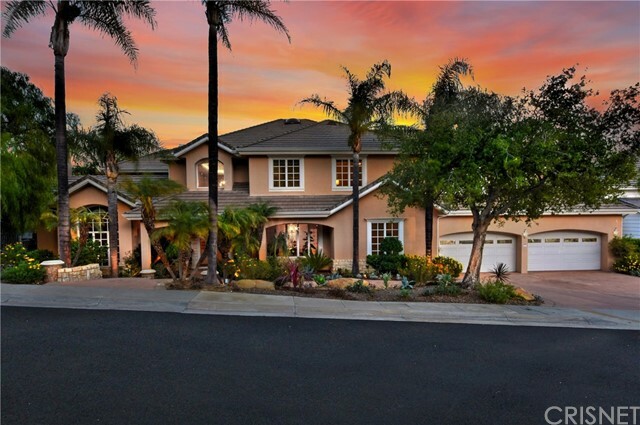 Beautifully appointed, main house boasts open floor plan w/ stunning kitchen, high end appliances, quartz counters, center isle w/dual chandeliers & casual dining which opens to the family rm & living rm. Glass walls open, providing convertible indoor/outdoor living space. 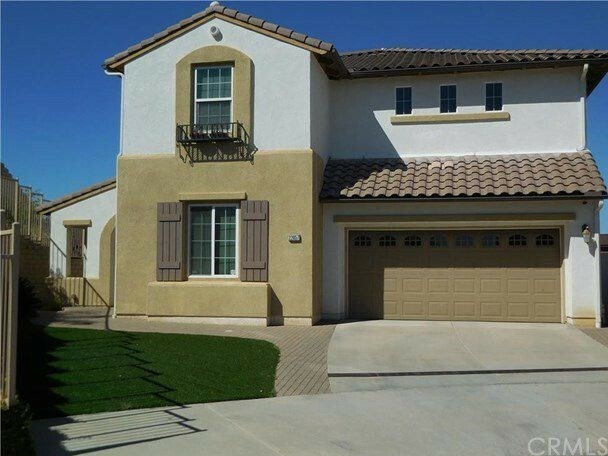 Flexible floor plan w/prvt office w/French doors open to zen like garden. All bedrms are en-suite. Sumptuous master showcases a raised platform, private balcony & glorious views, 2 fireplaces, sitting area w/ built ins, 2 his/hers closets like no other! His & hers baths w/ walk in shared shower but separate space hers w/spa like tub set in a alcove. Upstairs landing leads to bonus/playrm w/wall of glass. Private theatre. Other amenities include salon/barber rm & sound proof music studio. 4 car gar. Yard is terraced into two distinct spaces; the upper designed to maximize the 180 degree view ideal 4 entertaining or just relaxing, the lower features a 1/2 b-ball court, 2+1 GH w/roof top patio, lawn & pergola. No expense spared in this amazing property situated on a 37,000+ sqft lot." 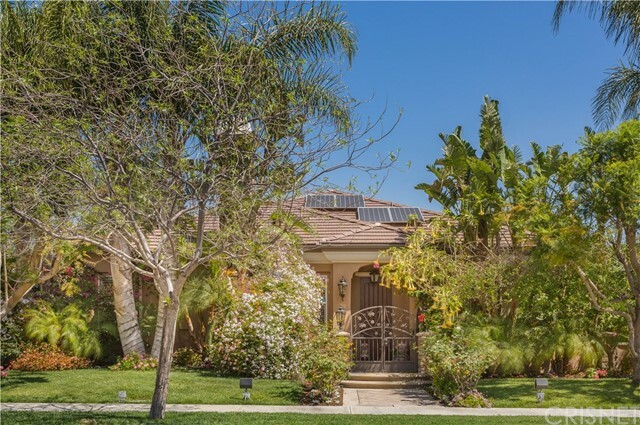 "Lovely Mediterranean estate nestled in the quiet Summit Ridge Circle of Chatsworth w/awe-inspiring unobstructed views to be from nearly every room. Be greeted in the elegant entry w/a grand spiral staircase & marble floors flowing throughout the living, dining & kitchen. Cook to your heart's content in the kitchen w/center island, ample cabinetry for storage & breakfast area. 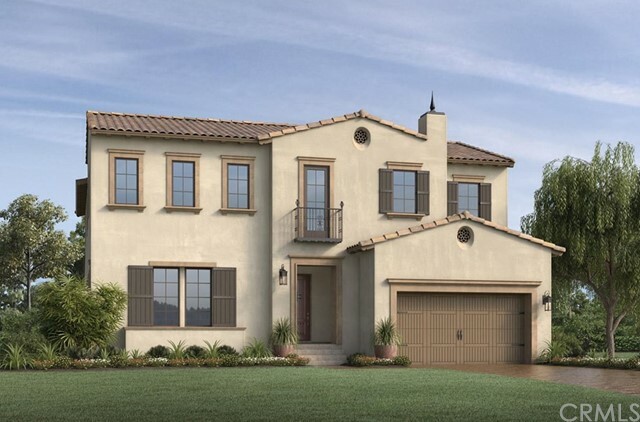 Unwind in the casual living w/a sophisticated fireplace & sliding glass doors to the patio. 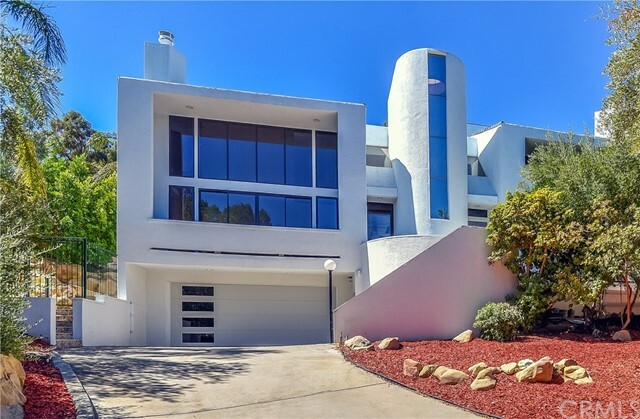 Elegant master boasts cove ceilings, fireplace, romantic balcony overlooking the stunning vistas, generous walk-in closet & bath w/soaker tub, dual sink vanity, make-up vanity & glass shower. Retreat to the yard w/multi-level patio spaces for dining/lounging al fresco and spacious pool, all enveloped by endless views. Additional home features include a formal living w/fireplace, dining room, well-appointed guest bedrooms, bar, four car garage and more. Come home to this gem & live only moments from local shops & restaurants"
"This is truly the essence of California indoor/outdoor living! Home offers a place for meditation, inspiration and entertaining. 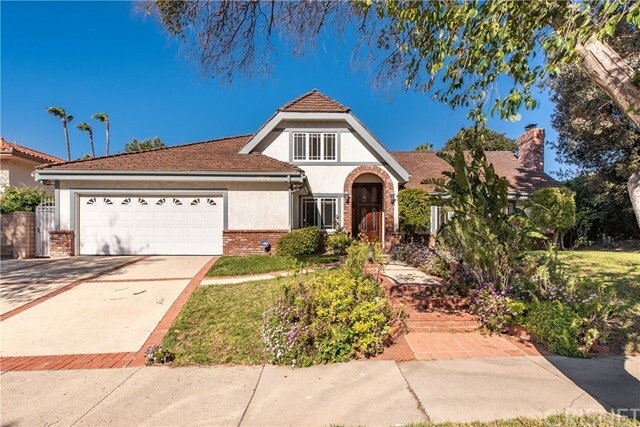 Close to nature and is located close by to the Santa Susana Pass State Historic Park. Custom architectural home was recently remodeled and offers a large open floor plan with lots of soul pleasing natural light. 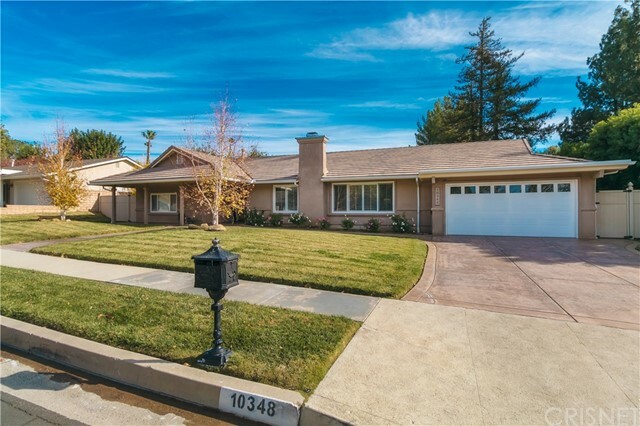 Updated kitchen and bathrooms with stainless appliances, granite counters and custom tile work. Huge garage offers possibilities for studio or work space. 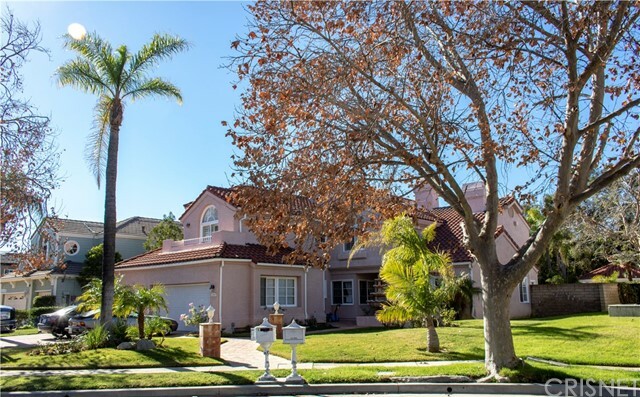 Large private and secluded yard offers countless benefits. Climb the custom rock hiking trails to the top and take in the majestic views or meditate in a custom rock sitting area where serenity abounds. Your parties will be amazing! Massive pool with custom tile, swim up bar with in pool seating, spa and foot soaking pool, large covered patio for performers, dining, dancing, and ?"